Within days of its release, Apple’s new Leopard OS is running on PCs – the non-Apple kind. The OSx86.com forums are buzzing with posts on how to make it run on different motherboards with different chipsets and graphic cards. It should come as no surprise if we see threats of lawsuits flying, in a typical response that characterizes Apple. Not sure why Apple tries so hard to fight such random acts – when PC users are as eager to use Apple’s OS, it can leverage the fact in its PR war against the rest of the world (OK, that’s mostly Microsoft… ) – and its brilliant commercials. “Hi, I’m a PC.. and I’m running OS X Leopard” – it’s not too hard to imagine that, and it wouldn’t do too much harm to Apple’s hardware sales. 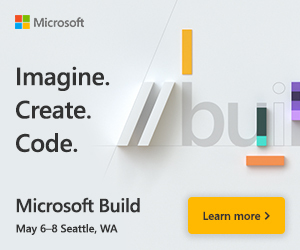 In fact, like Microsoft, if Apple realizes there’s plenty of money to be made in software (it doesn’t need to look too far to grasp the potential revenue and profits… last week Microsoft announced quarterly numbers that are off the charts… ! ), it should rather encourage such activity. There are plenty of folks out there who will not buy Mac boxes, though Apple makes by far the best boxes in the business. Why not sell them an excellent operating system, in a manner that’s fully documented, supported, and encouraged? And perhaps that may win a lot of converts to its box business as well. It’s sad to see Apple making iPods and iPhones that work with both platforms – OS X and Windows, make boxes that run both OSes, but it doesn’t want its OS to run on non-Apple boxes, nor on virtualization platforms like VMWare. 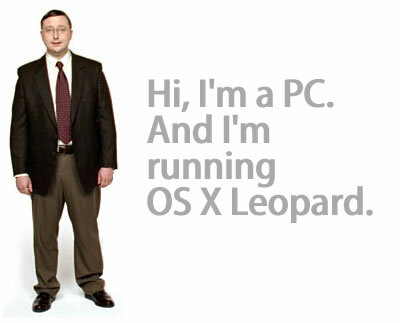 (Read “Leopard hacked to run on PCs” on MacWorld UK).